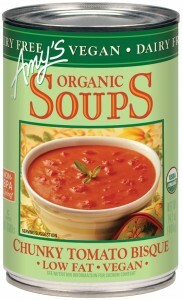 Amy’s Vegan Tomato Bisque is a Must-Buy! 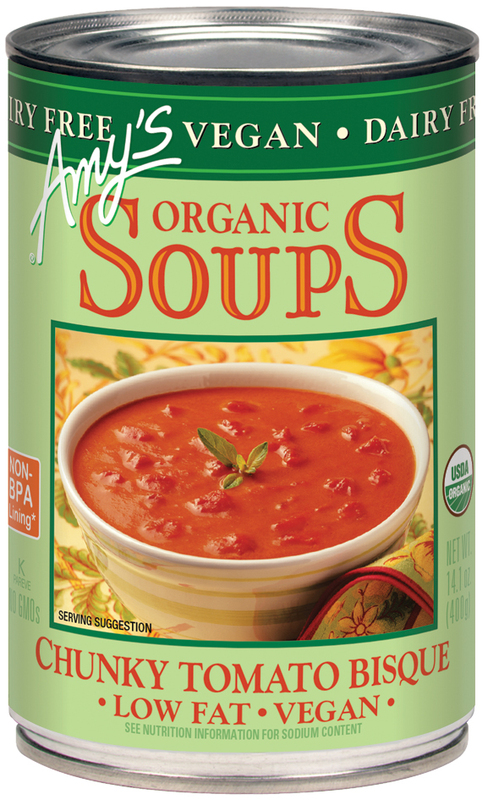 Self Disclosure: I received free samples to facilitate this post. Any opinions expressed are my own. No other compensation was received. Simon®, a global leader in retail real estate, is hosting its annual Easter celebration festivities at Del Amo Fashion Center and The Shops at Montebello, offering families the chance to participate in traditional and unique seasonal events. The Bunny Photo Experiencegives children the chance to visit with the Bunny and take home a treasured snapshot of the fun occasion. Del Amo Fashion Center: Begins March 14 from 10 a.m. to 8 p.m. and runsthrough April 4, from 10 a.m. to 8:30 p.m. in JoAnn’s Court. The Shops at Montebello: Begins Thursday, March 12, from 5 p.m. to 8 p.m. and runsthroughSaturday, April 4 from 10 a.m. to 8:30 p.m. in Center Court. “We love to hold family-friendly events and we always look forward to watching children interact with the Bunny at Easter,” said Lindsay Hermance, director of marketing and business development at Del Amo Fashion Center. Del Amo Fashion Center: Hosting a Kidgits Hop Into Spring event on March 28 from 10 a.m. to noon at the Bunny Photo Experience set, in JoAnn’s Court, where kids can participate in Spring-themed activities, games and crafts. The Shops at Montebello: Hosting a Kidgits Easter event on Saturday, April 4 from noon to 1:30 p.m., where kids can participate in various Easter activities and games including arts and crafts and a coloring contest for children ages 3 to 10. Beginning March 20, children can pick up a coloring sheet and submit the completed entry to Guest Services by April 4. Winners will be notified by phone on April 7. Prizes include special Easter baskets, filled with goodies. The first-place winner will receive an Easter basket with a Build-A-Bear stuffed animal and a $40 Gymboree gift card, second place will receive an Easter basket with a $20 Gymboree gift card, and third place will receive an Easter basket with other goodies. Kidgits members willalso be treated to a face painter, balloon artist and a coupon for Easter photos at The Shops at Montebello Bunny Set. Members of the Simon Kidgits Club will also receive a special Easter bucket, which they can decorate with multicolor grass and Easter egg shapes. Del Amo Fashion Center, a joint venture of institutional investors advised by J.P. Morgan Asset Management and Simon, is the South Bay’s retail destination for shopping, entertainment and dining. Del Amo Fashion Center boasts more than 200 stores, including Macy’s, H&M, Anthropologie, Barnes & Noble, Coach, and more. Visit the outdoor promenade and enjoy dinner at Stacked or PF Changs before a movie at our 18 screen AMC Theater. The indoor mall offers fashion for women, men and children plus jewelry, footwear and electronics. Del Amo Fashion Center serves the nearby communities of Palos Verdes, Lomita, Long Beach, Los Angeles, Redondo Beach and Gardena. For a map and store listings, as well as directions, events and job listings, visit www.simon.com/mall/del-amo-fashion-center or call 310-542-8525. Check out a 3D architect rendering animation at youtube.com/watch?v=4jO0g8d8Kcs for a bird’s eye perspective on the future Del Amo Fashion Center once the transformational, property wide renovation is complete. Cinderella – Cinderella is a Magical Ride for Everyone! 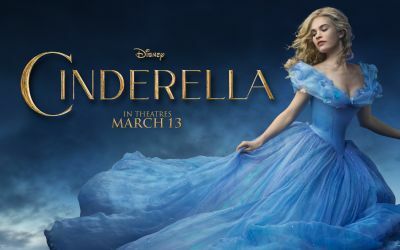 From Disney comes the live-action Cinderella directed by Kenneth Branagh and starring Lily James, Cate Blanchette and Richard Madden. The story takes off when Cinderella’s father unexpectedly passes away and young Ella finds herself at the mercy of her cruel stepmother and her daughters. Never one to give up hope, Ella’s fortune begin to change after meeting a dashing stranger in the woods. KIDS FIRST! Film Critic Morgan B. comments, “The glass slipper – WOW! That is a story in itself. Made of glistening Swarovski crystal with a golden butterfly on top that took over 150 hours, six versions and la voila, you have the perfect glass slipper.” Brandon C. adds, “I was very entertained throughout the movie. Even though its target audience is kids, anyone can sit down and truly enjoy this classic tale.” See their full reviews below. I attended a screening of the upcoming film Cinderella, directed by Kenneth Branagh. The story is set in Renaissance times, somewhere in England. It’s about a young girl named Ella who seems to have the perfect life. After her mother passes away, everything changes. She then has to deal with a couple of mean stepsisters and a manipulative stepmother. There are no true “big-name” actors and actresses in this movie. However, Lily James plays a spectacular role as Ella by providing a different side of Cinderella I never really thought of. She invokes a “take charge” attitude and has very good morals, as a person. Also, Richard Madden as Prince Charming has a very good scene in the middle of the movie as his father passes away. This was very important for the character’s development, as we usually see Prince Charming as a one-dimensional character. I was very entertained throughout the movie. Even though its target audience is kids, anyone can sit down and truly enjoy this classic tale. Personally, I was thrown off by the scene between Prince Charming and his father the King. As a son, I was emotionally invested as the character had to deal with the passing of someone he looked up to. On that same note, I was very surprised that Disney would incorporate so many depressing scenes into the movie. While it is a depressing story in the beginning, I thought Disney and Branagh would try to lighten the story up. Technically, the movie is incredible. Between the special effects and the music by Patrick Doyle, everything looks and sounds so appealing. As the viewer, you truly feel immersed in every scene. Also, Haris Zambarloukos does a great job with the cinematography of every scene. Nevertheless, the movie has a very good overall message behind all these different scenes. Ella is constantly guided by the morals of having courage and being honest. Those are true morals that a younger audience needs to be exposed to. With that being said, Kenneth Branagh does a great job of emphasizing those morals throughout the film. I recommend this movie to ages 8 to 18. Whether as a date-night movie or a movie you take the family to go see, no one is truly excluded from watching this timeless classic. I give Cinderella a 4 out of 5 star rating for its great overall structure of a film, great special effects, and solid acting. The wait is over. On March 13, Disney releases the new live action feature Cinderella on the big screen. Director Kenneth Branagh made a visually stunning movie. Filmed in England, the castles and scenery in this movie are gorgeous. Mr. Branagh is an actor known for Harry Potter, Valkyrie and many other movie and TV appearances. He is also known for directing as the Thor, Jack Ryan and Much Ado About Nothing. Lily James plays the part of Cinderella. Her blue dress is outstanding. The way it twirls when she dances makes that one of my favorite scenes. This is just one of the many costumes that take your breath away. The costume design department outdid themselves. Everything is spot on with no detail left out. Helena Bonham Carter is the perfect Fairy Godmother and my favorite character. She is adorable with the perfect white dress and a wonderful sense of humor. I missed the Bibity Bobity Boo song from the original but the special effects make up for it. Take an exploding pumpkin, a golden carriage, lizards, mice, a goose and you are off to meet The Prince played by Richard Madden. His voice, blue eyes, and charm make him the perfect Prince to swoon over. The wicked Stepmother is played by the lovely Cate Blanchett. Do not let her beauty fool you, as she is one evil mastermind. Her two stepdaughters are truly spoiled rotten with no filters or discipline. I would not like them as sisters. The glass slipper – WOW! That is a story in itself. Made of glistening Swarovski crystals with a golden butterfly on top that took over 150 hours to make with six versions and la voila, you have the perfect glass slipper. Add another 1.7 million crystals for costumes and this movie is full of sparkle thanks to designer Sandy Powell. My favorite scene is, of course, the Royal Ball. Cinderella and The Prince have an elegant dance, which enchants The Price and wins his heart. I loved this movie but it is actually a very sad story and, when I looked around the theater for the first half hour, many were in tears. This movie is very different from Disney’s animated Cinderella, which is cute, silly and has you laughing and cheering. The movie starts off with Cinderella as a young girl and takes you through the death of her parents and the loss of the life she once knew. It is a much more realistic version and therefore very young kids might not enjoy it as much as the original. I recommend this movie for ages 8 to 18. I give this movie 5 out of 5 twinkling glass slippers.